MY Wong, Sai L Ganesan, UV Shenoy, Jaya S Tedla, VS Binu. Background: Infant Neurological International Battery (INFANIB) is one of the common neurological assessment used for the infants. The reliability in the newborns is more essential to prove because INFANIB is used to predict the infant motor capabilities at later stages. Objective: Objective of the study is to establish intra-rater and inter-rater reliability of Infant Neurological International Battery between normal and high risk term neonates. Methods: In this cross sectional study a convenience sample of term neonates was included. Demographic data were completed from medical records. Rater one administered INFANIB on all the neonates and the assessments were being videotaped. The videos were anonymized and were viewed by two independent raters so they were blinded from knowing the groups from which each neonate belonged to. Rater three viewed 50 videos randomly for assessment of intra-rater agreement after one month. All the raters were blinded from scores of one another as well to avoid bias during assessment. For intra- as well as inter-rater reliability, two-way mixed, absolute agreement and single measure ICC was calculated. Results: 112 neonates (normal=56; high risk=56) with mean (SD) gestational age of 39.1 (1.1) and 38.9 (1.1) weeks respectively on mean post natal day of 4 were assessed. For intra-rater agreement the ICC was 0.42 (0.05-0.7) for normal neonates and 0.33 (0-0.63) for high risk neonates. For inter-rater agreement the ICC was 0.1 (0-0.26) for normal neonates and 0.28 (0.05-0.5) for high risk neonates. Conclusion: The intra-rater and inter-rater reliability of INFANIB proved to be poor between the normal and high risk term neonates. Formal training should be given to any profession or health workers who are planning to use INFANIB as a screening tool for early neurodevelopmental delay among neonates to improve the inter-rater agreement. MY Wong, Sai L Ganesan, UV Shenoy, Jaya S Tedla, VS Binu. Reliability of INFANIB among Normal and High Risk Term Neonates: A Cross Sectional Study. Majmaah J Heal Sci. 2013; 1(2): 7-13. MY Wong, Sai L Ganesan, UV Shenoy, Jaya S Tedla, VS Binu. Reliability of INFANIB among Normal and High Risk Term Neonates: A Cross Sectional Study. http://www.mjhs-mu.org/?mno=289276 [Access: April 25, 2019]. MY Wong, Sai L Ganesan, UV Shenoy, Jaya S Tedla, VS Binu. Reliability of INFANIB among Normal and High Risk Term Neonates: A Cross Sectional Study. Majmaah J Heal Sci. (2013), [cited April 25, 2019]; 1(2): 7-13. MY Wong, Sai L Ganesan, UV Shenoy, Jaya S Tedla, VS Binu (2013) Reliability of INFANIB among Normal and High Risk Term Neonates: A Cross Sectional Study. Majmaah J Heal Sci, 1 (2), 7-13. MY Wong, Sai L Ganesan, UV Shenoy, Jaya S Tedla, VS Binu. 2013. Reliability of INFANIB among Normal and High Risk Term Neonates: A Cross Sectional Study. Majmaah Journal of Health Sciences, 1 (2), 7-13. MY Wong, Sai L Ganesan, UV Shenoy, Jaya S Tedla, VS Binu. "Reliability of INFANIB among Normal and High Risk Term Neonates: A Cross Sectional Study." Majmaah Journal of Health Sciences 1 (2013), 7-13. MY Wong, Sai L Ganesan, UV Shenoy, Jaya S Tedla, VS Binu. "Reliability of INFANIB among Normal and High Risk Term Neonates: A Cross Sectional Study." 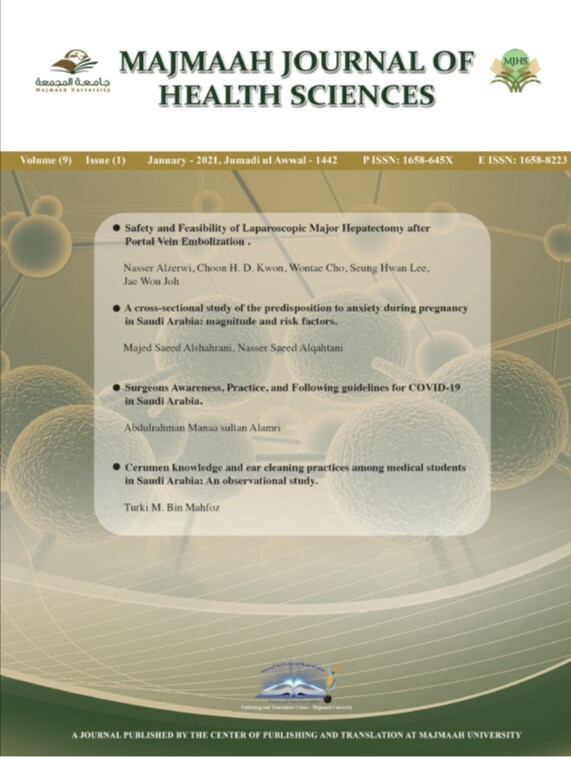 Majmaah Journal of Health Sciences 1.2 (2013), 7-13. Print. MY Wong, Sai L Ganesan, UV Shenoy, Jaya S Tedla, VS Binu (2013) Reliability of INFANIB among Normal and High Risk Term Neonates: A Cross Sectional Study. Majmaah Journal of Health Sciences, 1 (2), 7-13. Majmaah J Heal Sci. Year: 2013, Volume: 1, Issue: 2: 7-13.